This Osprey Daylite Plus review is about a new ultra-lightweight pack from Osprey’s Daylight series. This is a very versatile 20-liter daypack for outdoor adventures, travel, and for around town use. Product name: Daylite Plus Unisex. Can be attached to larger Osprey packs as a day pack. The best place regarding the price and shipping conditions is usually Amazon, they have stores on several continents so you can save on shipping. In EU a great alternative is Bol.com with its very efficient shipping service. The name of this pack might suggest that it is just a modified version of the enormously popular Osprey Daylite backpack, but in fact, this is not so. The Daylite Plus is a completely new pack in this series of two packs so far. With 20 liters of volume, it is considerably larger than the other 13-liter pack. The pack is panel type, with front-top zippered entrance into the main compartment. Typically such packs are more versatile than the classic packs with top lids, and you can use them in any situation, both for daily life, travel and for outdoor adventures. Inside the main compartment, there is a padded sleeve which you can use equally well for a tablet, a small laptop, or for a hydration bladder. This pack is bigger by volume than the other pack from the series, but it also includes new features. So on the front, you have a shove-it pocket which attaches to the sides of the pack through dual buckles and side straps. There is one front extra pocket on it, with a vertical zipper. You can see this in the picture above. I already mentioned that the design of the pack makes it very versatile. But there is more to that. 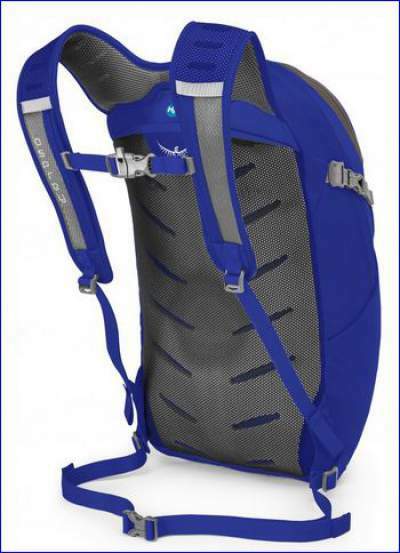 This pack has attachment points through which it can be attached as a typical daypack to many other larger packs of Osprey. This is definitely a big bonus if you already have some of larger Osprey packs, or you plan to buy one. These big packs are designed to accept such a day pack on the front. Just to mention some of them described in this site, like packs from Aether, Ariel, Volt, and Viva series, and also packs from the Porter, Farpoint 80, and Sojourn series. Note that it can also be added to the child carrier packs like Osprey Poco pack. Please visit my page about equipment where all these packs are listed and described in detail. I already mentioned the main compartment and the internal sleeve. But this pack comes also with an external laptop, tablet, or water bladder sleeve positioned behind the back panel. You will see it in the video below. The stretch front pocket provides a lot of extra useful space for clothing or other stuff. You also have 4 pockets: two side stretch mesh pockets, the top zippered pocket with mesh organizers inside, and the front zippered pocket for small and flat items. The suspension system with a fixed harness. This pack comes with a fixed harness and without any internal metal frame. So the back is a die-cut foam stiffener which gives a bit of rigidity. I do not think the absence of a true frame is a big issue in view of its size, but having a frame helps if you have more load. The padding on the shoulder straps is rather tiny, with die-cut foam, and you have spacer mesh everywhere, on the shoulder harness and on the back. The hip belt is with a very minimal design; it is very narrow and pretty much useless in this sense. You can see it in the picture. But it is removable and this is rather convenient if you use the pack for commuting and in daily life. So this segment of the pack is not spectacular but it is not too bad either. This is a small pack and what you have may be quite enough. Very reliable and durable construction. Being so new, the Daylite Plus pack has received a limited number of reviews so far. But the average rating is rather decent, 4.3/5. To see more please follow the links. If the rain cover is essential to you, it can be ordered separately here, it is rather inexpensive. 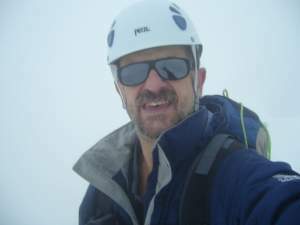 Best use: hiking, mountaineering, travel. Weight : 0.54 kg (1 lb 3 oz). Volume: 20 l (1220 cu in). Maximum dimensions (L x W x D): 46 x 26 x 24 cm (18 x 10 x 9 in). Spacer mesh shoulder harness, ventilated die-cut EVA foam. Front zippered organizer pocket with a key clip. Front shove-it pocket with additional zippered pocket. It can be attached to larger Osprey packs as an extra day pack. Colors: 6, with slight differences in the price. 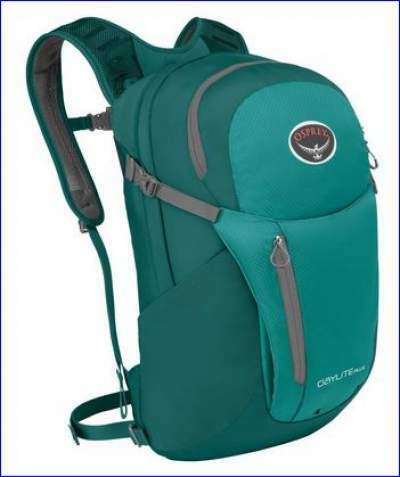 All colors of Osprey Daylite Plus backpack. *The only pack with the included bladder. To conclude this Osprey Daylite Plus review, this is a completely new product, and there is not much you might say against this pack, in fact, it is just the other way around. This is a good and quality tool from a reliable brand. The most important selling points for this pack are its price, versatility, and the fact that it can be added as a daypack to many larger packs of Osprey. It is considerably bigger that the other Daylite backpack which is really small and yet very popular. So I am sure this Daylite Plus pack is a better option. On the other hand, if you are concerned about the harness adjustability (which you do not have here), you might want to see some other models from Osprey, like Escapist 18, or Tempest 20 pack (which is a specific women’s design). You might want to see also this Kelty Riot 22 pack, which is a bit bigger than the Osprey Daylite Plus but still lighter. Thank you for reading. It will be great to hear from you, there is a comment box below.